Wendy is an aspiring gospel artiste that was nurtured by God's Word and His love. The Lyrics of her 1st and 2nd singles "Be Strong" and "Elohim i love You" exemplifies God as the giver of life and the author of true love. Wendy is a woman with many names; Prayer child, Rabboni's child, God's worshipper; etc, not disclosed here. She was born in Lagos, Nigeria to a wonderful and loving family. 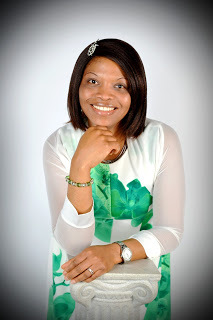 She was educated and trained as a lawyer in Nigeria and the United Kingdom, before emigrating to Canada. Despite her busy schedule, she volunteered as choir leader, Sunday school's teacher, and women leader, at her local church until she relocated to the United States of America. Wendy's songs are inspired by the Holy Spirit, who she credits as her greatest motivation. She has 20 songs to her credit, and is currently working towards her debut album release soon. Wendy's life is filled with humongous and whale testimonies, and she is inspired to continue to volunteer, and support widows, and orphans as led by the Holy Spirit. Her mission is to win souls for Christ; (The Great Commission).